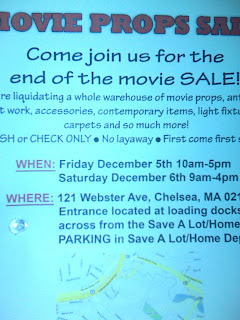 We are liquidating a whole warehouse of movie props, antiques, art work, accessories, contemporary items, light fixtures, carpets, and so much more. See below for some shots that were sent to me from an anonymous Bloggery Reader. Much appreciated! PS. 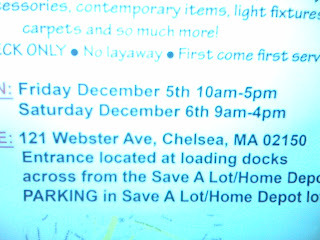 I've got a lot going on this weekend, but I'm going to try to swing by. If you see a miniature set of cloisonne vases - those used to be mine (here). 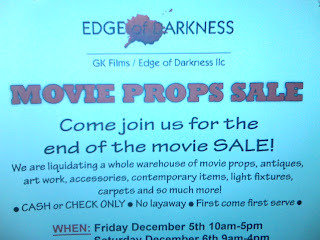 1 Response to "Edge of Darkness Prop Sale - 12/5 & 12/6"